Pinning Perfect- This one’s for the bloggers! If you’re not a blogger, you might not find this post particularly helpful, but don’t fear-I have more great stuff coming later in the week! 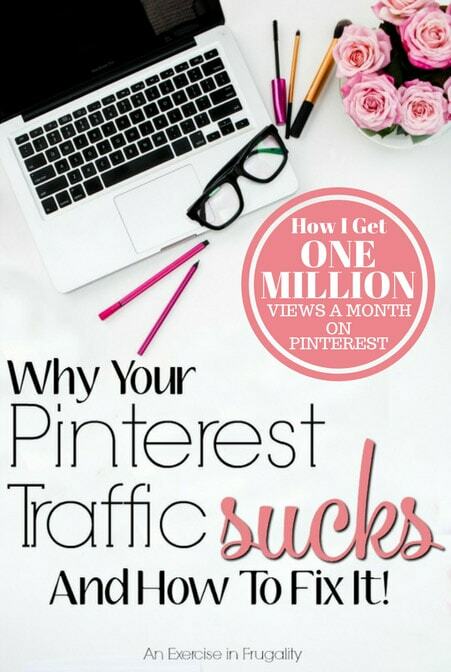 When I tell you 95-98% of my traffic comes from Pinterest each month, do you believe me? Chances are that’s how you got here too! There’s lots to learn about Pinterest, and recently everything we DID know about it was changed. Pinterest is no longer like it’s initial incarnation. Sure, there’s still boards, and pins (though now they are called saves instead). But believe me, under the hood everything about Pinterest has changed. It’s no longer a social media channel. It’s no longer about following people. Times they are a changing, and we all need to get on board or get run over! So first of all, let me tell you that I can guarantee you that you’re using Pinterest wrong. Are you desperately trying to gain followers, wondering why your numbers aren’t growing? Are you pinning all over dozens of group boards and not getting anywhere? Yup. I know. I have been there. See when Pinterest first started, it was a social media platform. It was all about who followed who. Some people got SUPER lucky as early adopters and blew up to huge followers with little to no effort because Pinterest would recommend accounts to follow. They were pushing pinners to FOLLOW OTHER PINNERS. Recently the algorithms and the goals shifted. Dramatically. Long story short, Pinterest does not give a hoot about whether you follow people anymore. They want you to follow interests. But why would a social media platform do that? They wouldn’t. That’s why you have to stop thinking of Pinterest as a social media platform and start thinking of it as it’s newest identity: a visual search engine. Now that we’ve established what you’re doing wrong, let’s talk about how to fix it. A year or two ago, I purchased the Pinning Perfect Pinterest course from Blog Clarity. Back then, the strategy was still social media based (because that’s still what Pinterest was at the time). My Pinterest growth took off by leaps and bounds. My traffic skyrocketed, and my number one referrer was Pinterest. When “the changes” happened with Pinterest’s goals and algorithm, Blog Clarity updated the course accordingly. Now it is 100% up to date with the latest details (confirmed directly with the higher ups and Pinterest btw) and it will teach you everything you need to know about optimizing your site, pins and content for Pinterest with the visual search engine premise in mind. The awesome part about the course is that when you purchase you get LIFETIME UPDATES for free. That means the next huge paradigm shift at Pinterest will never render this course useless. I am still working through the last couple units of the update, and let me just tell you it is absolutely worth every penny. This course has probably paid for itself twice over already! I can’t say enough great things about Pinning Perfect. I can confidently say that I owe my success with Pinterest to this course, and frankly even my success as a blogger. This is not one of those fluff courses that teaches you things you already know. This takes REAL, pertinent info and breaks it down into bite size chunks that are easy to understand and execute. Plus you get access to the secret Facebook group where the creators and course alumni are at your constant beck and call to answer any questions, no matter how crazy. If you’re looking to up your Pinterest game, this is one small investment you need to make. At just $149 the course (and it’s LIFETIME of free updates) is a total steal. Definitely worth the cost. Frankly, I think they are not charging ENOUGH for this information, but don’t tell them I said that! If you don’t believe the hype and you think I’m exaggerating (despite the screen shots above), just remember… there’s a 97% chance YOU found this post via Pinterest! 😉 And by the way, if you don’t already follow me on Pinterest, you are missing out! **Full disclosure: I purchased Pinning Perfect myself at full price, but I am an affiliate for the course. As always I only endorse products that I have used myself and truly find useful. Please see my disclosure policy for more information. I believe in full transparency so if you have any questions please feel free to ask in the comments. Have you tried Pinning Perfect by Blog Clarity? Tell us your thoughts! I am still learning Pinterest. It’s my goal after I re-brand to work on cleaning up my Pinterest boards and pins. It’s been my best referrer of traffic for a long time. 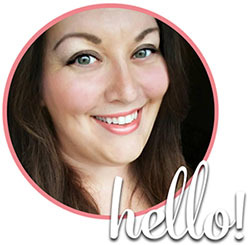 I took a two month hiatus from blogging and my traffic stayed the same because of Pinterest. Definitely worth spending some time with Pinterest! I have heard some great things about this course. Pinterest is not a major focus of mine right now, but will be in the future. It’s hands down the best course I have ever purchased on any subject. Very thorough and easy to follow. Even if you don’t purchase the course, Pinterest is a very valuable source of traffic! Pinterest is my number 1 traffic driver too. Thanks for sharing your tips I will have to look into that course I’ve heard others use it too. You’re very welcome. Isn’t Pinterest awesome?? I was probably one of the ones who loved pinning just for the fun of it. I liked something I pinned it. I don’t like how everything turns into for business but, I guess that is the way of the world. Can’t change that. I like pinning for fun too (and still do) but it’s a fabulous resource. I always pin content that is valuable though, so it’s beneficial to the reader. Wow, I really to focus more on Pinterest! It’s really good to know that the Pinterest course gives you access to all of the updates with new Pinterest changes. The lifetime updates are so valuable. Pinterest is constantly changing and evolving so it’s really the only course you will ever need. I know exactly what you mean about Pinterest being a visual search engine. I get so frustrated when I see people pin to generic boards, or not use any keywords at all. It is so much more than a social media platform and has real possbilities to help you grow your site traffic. It really is. Not only do generic boards and no keywords hurt the pins from a business standpoint, but more importantly it’s a negative user experience because people can’t find things they want to read as easily! It is such a valuable tool for people we as content creators need to make sure we’re using it in a way that benefits the average reader. I have noticed that I have been getting more traffic from Pinterest. I need to fine tune, etc. I need to look into this course! Pinterest is such a valuable tool for bloggers. I get so much referral traffic from Pinterest that even when I took a 2 month blogging hiatus my traffic didn’t dip at all! Wow, this is a great idea! I love Pinterest. I’ve never heard of this before but it definitely seems like it would help boost traffic and followers. Thank you for sharing! Pinterest has always been my favorite, even before I became a blogger. It’s so much fun! The Pinterest algorithm change last year really brought my page views down. I am trying to learn the new tricks and tips. Going to look into this course. I highly recommend it, it has made all the difference. There were some BIG changes for Pinterest and it really took on a totally different direction. Pinterest is huge for my blog, too! Hopefully it stays that way! This seems like a great course, I have not heard of it before. I agree that Pinterest traffic is soooo important and can really help grow a blog. 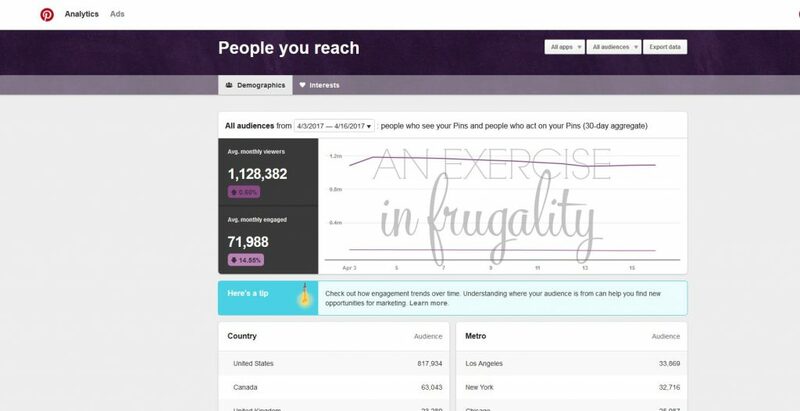 Yes, Pinterest is HUGE for blogs! When done properly it can really be a huge traffic source. I pet sit and love pinterest. Do you think the course would help me or is it just for bloggers?